Meet Rachel Cossar, founder & creator of Choreography for Business, a consulting firm that provides employees with practical tools to help them fine-tune their physicality in the workplace. Rachel educates businesses on the importance of body language & non-verbal cues. She then teaches how, when the tools are applied, each employee's whole presence can become a driving force in positively enhancing the workplace. Based in Boston, Massachusetts, Rachel's journey to entrepreneur didn't happen overnight. Rather, her interests & passions, began meshing together in beautiful & mysterious ways. Rachel knows first hand what it is like to understand the body's physicality as well as the power of performance. 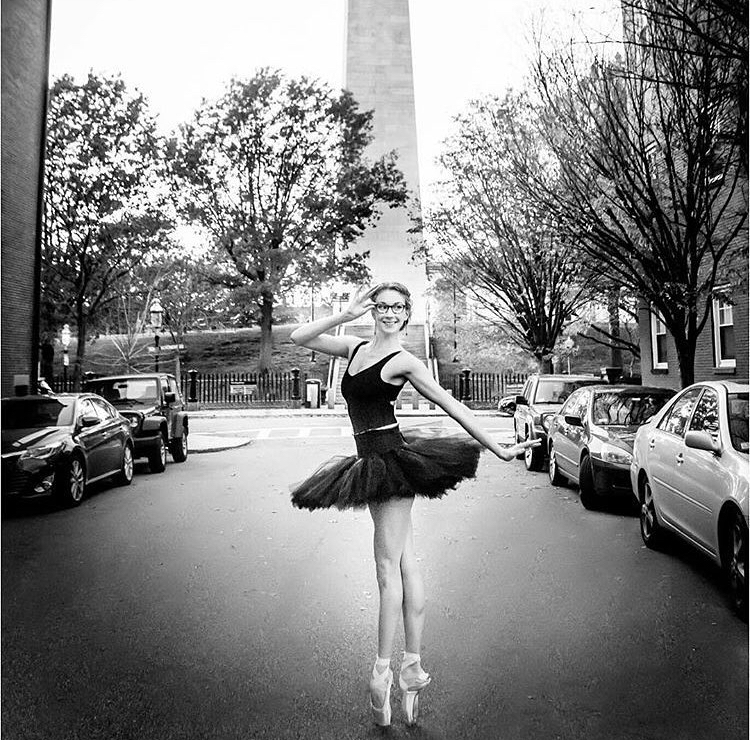 Having trained & competed as a Rhythmic Gymnast on the Canadian National Team, to dancing professionally with the Boston Ballet for numerous years, her career onstage enabled her to learn the profound power of nonverbal communication. While Rachel acquired these tools onstage, offstage, is where her passion for good food & sharing those finds with the rest of Boston began to take flight. Through her personal writing as the 'Foodista on Pointe', in addition to becoming a regular contributor to The Daily Meal, Rachel has consistently chronicled her trips & tastings, documenting her journey through Boston's affluent restaurant scene while writing along the way. It was from her adventures as a foodista, that she developed friendships with restaurant owners & chefs, leading us to chef/owner, Joshua Lewin , in particular. Rachel & Joshua shared a common belief that the restaurant experience is much like performance art. The industry values presentation, perfection, & poise, not only in what is served, but by those who prepare & serve it. It was through their conversations, that Rachel developed a pilot program, Choreography in the Kitchen. In this pilot, she taught a foundations training course to Joshua's employees, focusing on postural strength and using the floor to ground a server's feet to boost their presence when approaching a table. The success of this pilot then lead Rachel to take Choreography in the Kitchen to a larger stage. Since her pilot, Rachel discovered her tips & tools could be utilized by other professionals in more traditional work spaces as well, thus expanding her brand to 'Choreography for Business'. With 'Choreography for Business', she has been able to serve a wider audience, leading programs & workshops to consultants, sales representatives, and fundraisers alike. Rachel's story is a testament to the beauty of what can be developed through making connections with others & building relationships. Her story truly fascinates me. I am amazed that the tools we are fortunate to gain out of an experience in the performing arts, can translate into the "real world" in practical, helpful, & surprising ways. Rachel is avid on Twitter where you can follow her 'Posture Tips'! And all the latest news behind "Choreography for Business"
There's another inspiring entrepreneur headed to the spotlight later this week!